What all three of these events have in common is me. Many, many moons ago, when my daughter was eighteen months old, I found myself pregnant with my second child. For whatever reason, my pregnancy tests never showed up positive until I was eight weeks gestation. 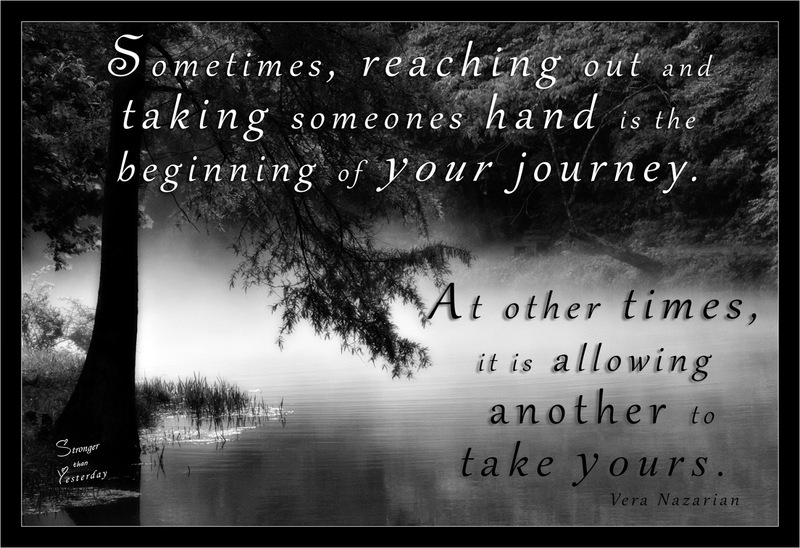 Just days after receiving confirmation that I was with child, I miscarried. Having a career in the medical field, I did not recall any of our patients stating they had terribly painful miscarriages. The pain became intense enough that I called my physician and was instructed to come to their office immediately. Calling my mother, I not only had to tell her that I was pregnant and in the middle of a miscarriage, but that I was having complications and needed a ride to my doctor an hour away. An ultrasound displayed that a tumor had grown on my right ovary that was two and a half inches in diameter. It was benign but had to be removed. A dilation and curettage (D & C) was also needed to remove the lining of my uterus after miscarriage. That was my first experience with enduring a surgery. I realized that anesthesia causes me extreme nausea and dry heaving after an abdominal surgery was dreadful. My physician stated that because of the size of the tumor that I would probably enter into premature menopause at an early age. At the ripe age of thirty-four, I started developing my first symptoms. Nearing the end of my MRI education, I noticed my skin began looking more like a teen, but not in a good way. My skin was already naturally oily, but blemish after blemish started to pop up. Small and infrequent hot flashes arose. I could not believe it was happening so early. Fast forward just six months and I was involved in a major car collision that really got my body out of whack. Eight weeks after the collision, I sat in my wheelchair facing my husband who was sitting on the couch, emotion gushing out of my soul as I speak of the heartache I was reacting to, when I pick my head up and boldly inquire, " My God, is it hot in here?" My husband desperately trying to keep up with my switch in conversation, slowly begins to smile. It spread to each cheek as he starts laughing and humorously announces to me, " Carey, don't you remember you are in premature menopause?" Sitting in aghast confusion, my mouth opens in astonishment as my eyes became as wide as silver dollars. " What?! ", I asked incredulously. "That's not fair! I have to go through all of this? 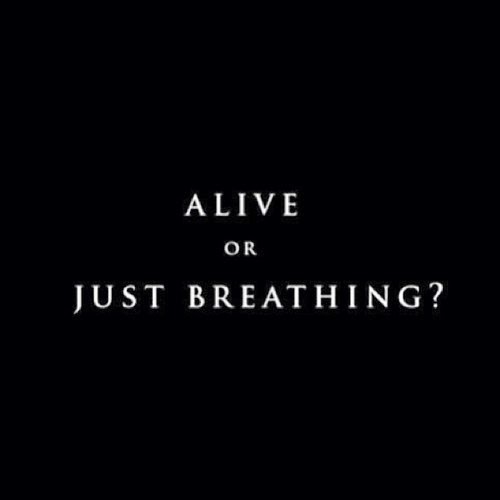 At the same time?" I was appalled. Some months later I decided I should try herbal remedies to diminish my symptoms and after three other products failed, a close friends recommended Estro Rhythm. I did not want any more prescribed medicines, I had enough of those hanging around in my body already. Within two weeks, I felt a huge difference in the frequency of my hot flashes, my skin began clearing up and my irritability was under control. Between dealing with recovery and the change of life, I felt I might end up on an episode of "Snapped'. It really wasn't quite to that level, but it was more than I had ever experienced before and I wanted to nip it in the bud as early as I could. 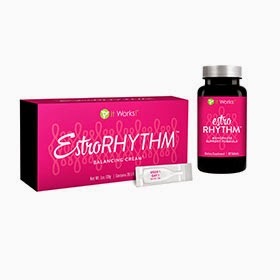 Manufactured by It Works, Estro Rhythm is a two-part daily solution that includes a supplement and conveniently pre-measured, daily balancing cream application made with natural ingredients. It helps to relieve menopausal symptoms and is safe and effective. I have now been using this product for over two years and I wouldn't change it for anything. Here is my pun. Because It Works! Again I am not a distributor so I only pass this information on because of my positive experience with it. Also I have not had a weight gain since starting this regimen! I originally geared this post towards women, but my male audience should read this info and if your female partner is having these symptoms, get online and order this for her asap. You will both be happier with the results. Bone grafts have helped to fix some of my joint problems associated with my injuries received during my car collision. It is a small part of a major recovery, but they have made a powerful difference in my progress. What exactly is a bone graft? Basically it is transplanting a piece of your bone from one part of your body to another part of your body. It is beneficial in fixing bones after trauma, joint problems and growing bone around implanted devices. Well, I don't have just one of those, I have all three! My initial bone graft was taken from my left hip. My right lower leg was crushed and sustained open fractures where my tibia(larger bone) tore through my skin and splintered into many fragments. My fibula(smaller bone) was crushed, but it is not a weight bearing bone so my trauma surgeon put those pieces back together like a jig saw puzzle, wrapped them in netting and set them back in place. The tibia bone, sadly was splintered so badly he could not identify where they all originally fit together. He ground them up, along with the piece of bone from my hip and filled the holes in hopes that new bone tissue would grow around the injuries and give me some stability. To date, I have given three bones grafts, one from my right hip and two from my left. The surgeons have also withdrawn bone marrow from my right hip by inserting a needle into the very center of my bone and pulling out the marrow. That was integrated with another artificial substance and injected into one of my ankles when the decision was made to fuse it. That first bone graft was so large that it did not grow back in my hip. Running my finger gently across the rim, I can feel a triangular dip that would make anyone shudder. 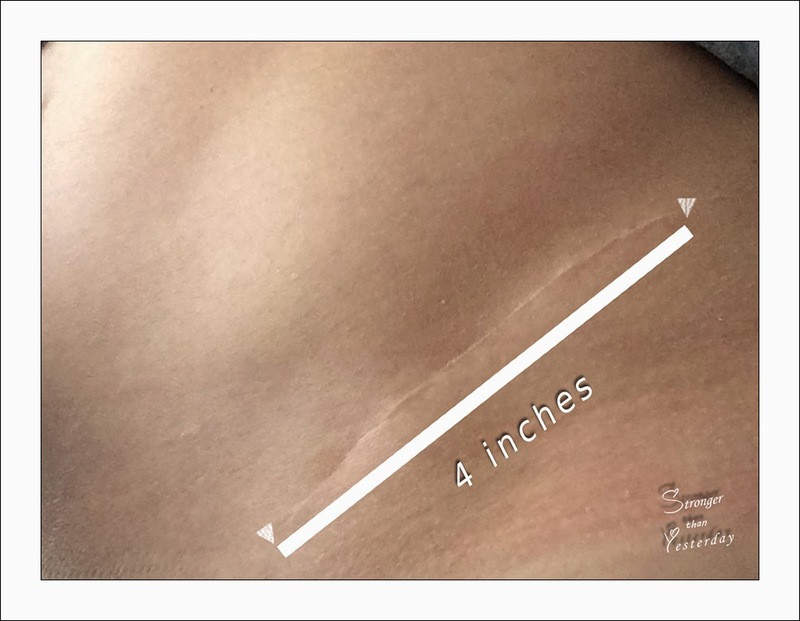 This scar is so long because my orthopedic took my third bone graft directly below where my first one was taken. 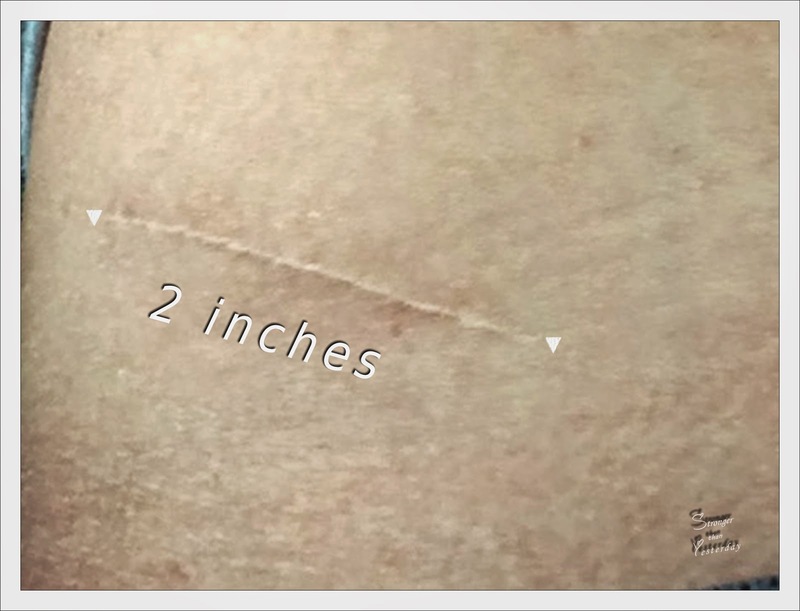 Extending that scar to four inches. I am undeniably grateful that both of my surgeons really performed a magnificent job on minimizing my scarring. My right hip lives with this two inch scar and there is a smaller half inch scar where they removed the marrow. Each surgeon repeated that enduring the bone grafts would not be pleasant. I really did not know what to say to them. There was no way it could be worse than what I had already endured. It was not pleasant by any means, but felt trivial compared to the pain of the other surgeries. I have had eleven surgeries and four of those were also accompanied by the surgery of bone grafts. It all sucked, but look at the progress I have made because of it! Of course with that many operations, I was bound to have some kind of counteractive effects. I seem to like being included in that category of " This only happens to about 3%-5% of patients." During one of my left bone grafts a resident nicked a nerve. Just a small nick and just one nerve, but now the left side of my pelvis is partially numb. The lasting effects of bone grafts are that they ache just as my ankles do, just not as severely. I cannot lean against a counter, wear low rise pants or belts around that level of my hips. A few friends have been so happy to see me that they have tried to pick me up around the waist and nearly lost their arms as I disengaged myself from them. I envision myself with the word, Fragile, stamped all over me because of all of my injuries. 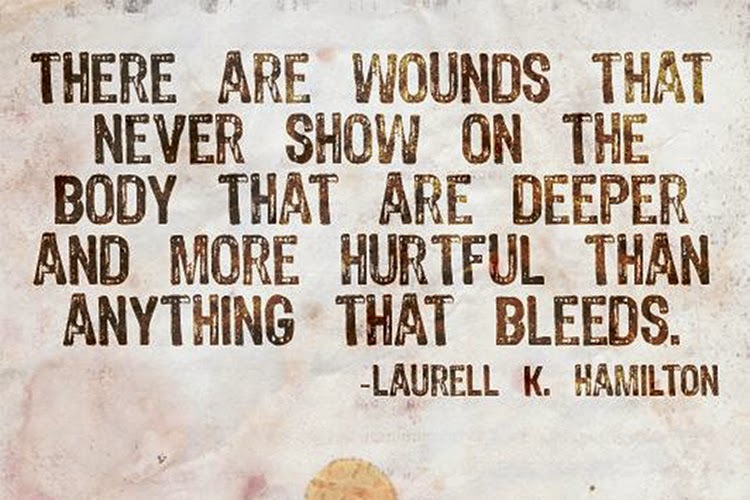 But I would choose those embraces over a little pain every. single. time. I have much to deal with each day, but it seems so small when I visualize my future. I look at the larger picture and ask what my end game will be. My disabilities will not keep me from accomplishing my goals, I may have to be more creative about how I'm going to get there. And maybe, just maybe I will have to learn to accept help from those who wish to give. "Do I have them? ", is a typical question from inquisitive minds. Truthfully, in the four years of my recovery, dreaming of the collision is not a frequent occurrence. Recalling only a handful of night visions during this season of turmoil is frequent enough for myself. Each session of my subconscious was emotionally exhausting, but oddly, only my first illusion was an authentic nightmare. Nearing three months of my husband and I slumbering in our living room, I introduced the idea of seeking out our bedroom. Although we held hands between my hospital bed and the sofa, we had not slept beside each other since the collision. He was beginning to ambulate in an odd fashion as the support from our old couch gave way. Wheeling myself to his side of the bed, because that is the only place my chariot could fit, we quickly realized the bed was too high for my weakened arms to lift my delicate structure up efficiently. Every action was slow and calculated because every action caused intense pain. My body was seized into a chair pose, even in the hospital bed. Positioning my legs to lie above the level of my heart was crucial and I had no tolerance to lie flat on my back. Twenty-four hours a day, I pushed the buttons on the remote to position the mattress to conform to my tattered body. Stacking pillows below my legs and upper body we finally lay beside each other. I smiled back at my husband even though it felt as if I were laying on a stack of plywood. He lay so close to me, almost as if he were afraid I would disappear if he did not. After fidgeting with slipping pillows we fell asleep connected by intertwined fingers. Promptly I was launched into a nightmare that reproduced itself unceasingly. Never-ending it seemed. The identical three seconds that is the root of my terror during the impact of our vehicles colliding, replayed incessantly in my imagination. A truck, popping over a small hill, rounding the corner, careening toward us. I, watching as it's body leaned around the curve and it's tires tried desperately to grasp the pavement. Crossing the center line, forcefully blocking our paths. It was flying, literally flying! Whipping back and forth across the yellow lines. Back and forth, it was erratic. Good Lord, it's not going to stop! Panic was coursing through my entire body, creating violent tremors, my mind was screaming in hysteria ! This was happening so fast! "No!" my mind roared, "No!" It's too close, we're going to die. Enormous round lights, blinded my vision with complete whiteness. They are in my face! I screamed so loud my lungs burned, "Oh My God!!!" Again, again, again, again and AGAIN! Stop! Fifty? Seventy-five times this horror cascaded itself upon me. Waking in hysteria, my body had reacted as if I had just lived through the impact again. Finding myself in my home, I felt droplets of sweat running down my skin as I released the sheets of my grip. They were wet. Reaching up to my stomach, my shirt was literally soaked with perspiration. Beating like a war drum in my throat was my anguished heart. My body was petrified in panic as I pried each one of my shoulders from the hardness of the mattress. Slowing my breath, afraid I was hyperventilating, I clutched at reality. I know where I am. I know I am okay. I know it was a dream. Steadying my wild eyes to focus, I inhaled and exhaled deeply until twenty minutes later I felt myself drifting into a slumber. A G A I N!!! Immediately catapulted into another fifty episodes of the insanity of the same three seconds that had just molested me, my subconscious stole my sleep until morning light. Having done nothing but lie in bed for seven hours, I was absolutely exhausted. Physically and emotionally. I only wanted for my pain to end. Emotional pain. My heart ached from it, my mind was consumed by it and my spirit fought diligently against it. Although those same three seconds enter my mind often, that dream has never invaded my sleep since. It is a horrible scene to translate, but it has taught me to not be afraid to live. Now I have chosen to use it for a better purpose. as if it had just begun.